L-R: Combating Climate Change with Mr. Peter Brown (iACADEMY School of Design’s Animation Faculty), H.E. Patricia Fuller (Canadian Ambassador for Climate Change), Alexandra dela Cruz and Ma. 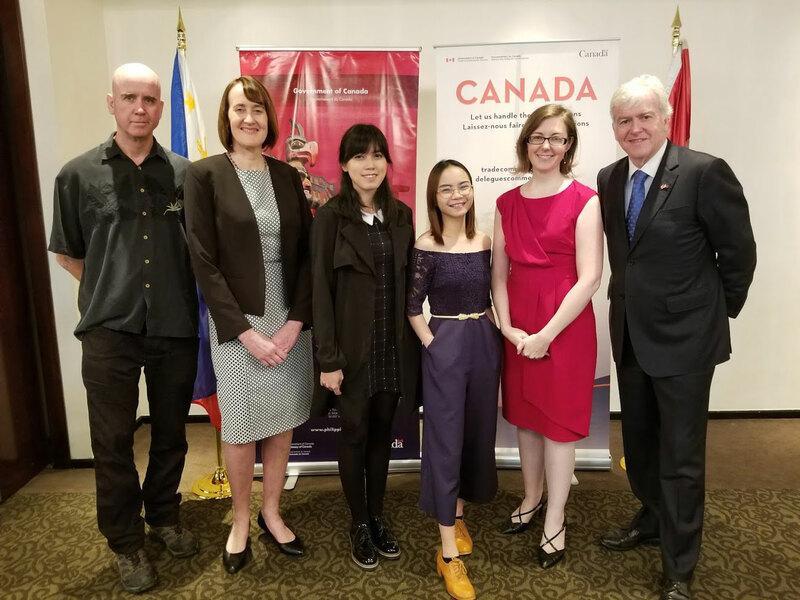 Isabella Parca (iACADEMY BS Animation alumni), Crista McInnis (Counsellor and Senior Trade Commissioner of the Canadian Embassy), and H.E. John T. Holmes (Ambassador of Canada to the Philippines). The thesis film of iACADEMY students, "Halimaw sa Basura" was chosen by the Canadian Embassy in Philippines as part of their "What A Waste!" initiative to increase awareness and address the looming problem of waste management in the country. L-R: H.E. Patricia Fuller (Canadian Ambassador for Climate Change), Alexandra dela Cruz and Ma. Isabella Parca, and H.E. John T. Holmes (Ambassador of Canada to the Philippines) sign the Memorandum of Agreement that allows the short animated film "Halimaw sa Basura" to be shown during the roll out of "What a Waste!" campaign for waste management. "We are honored to be part of this very big initiative. We really wanted it to be used for something bigger, something that will help push the discussion about waste management and for people to better understand that this issue needs to be addressed. I think iACADEMY has helped us get into this position through the connections of Sir Peter and the support of the community. We, as the animators and creators of Halimaw sa Basura, are really glad that it's being shown here," says Maria Isabella Parca, one of the directors and producers of the film and a BS Animation Graduate (Class of 2018). 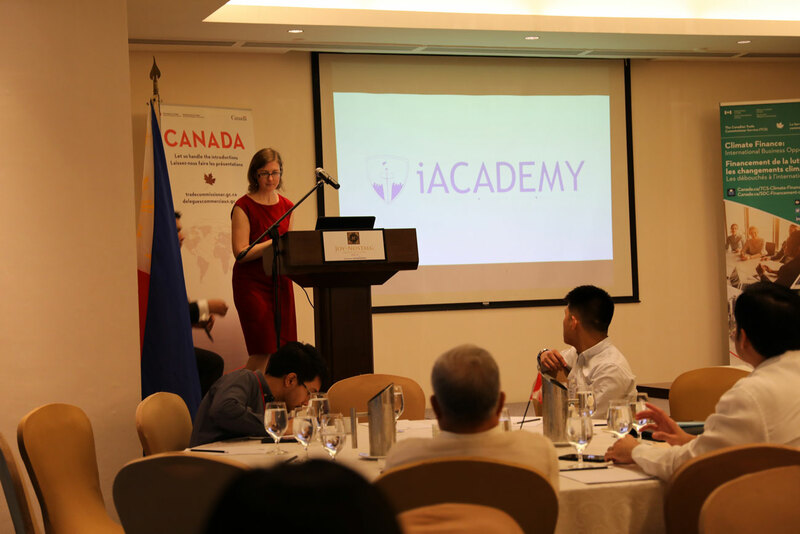 Crista McInnis (Counsellor and Senior Trade Commissioner of the Canadian Embassy) introduces iACADEMY's animated film during the "What A Waste" Symposium at the Joy-Nostalg Hotel and Suites last March 25. Canadian Embassy's "What a Waste!" aims to alleviate waste in Metro Manila where 19 municipalities and 13.7 million residents generate an approximate 3500 tons of household waste on a daily basis. 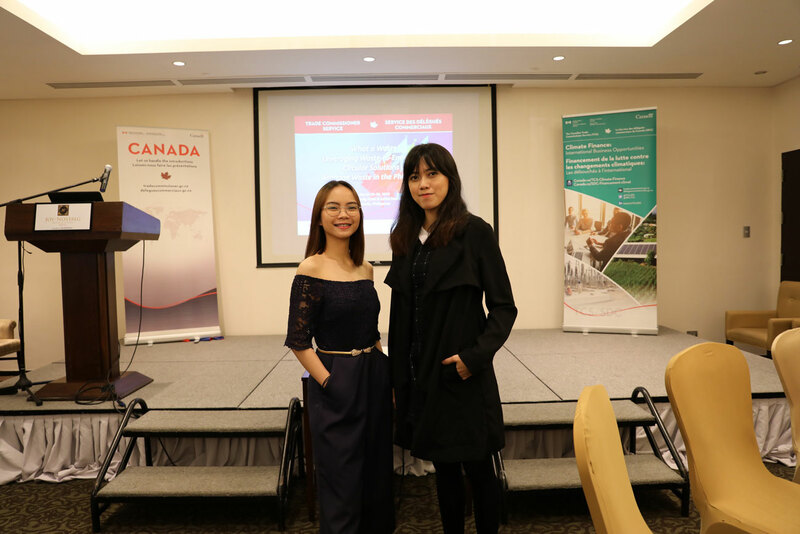 The symposium on March 25 and 26, 2019 encouraged discussion with a view of highlighting a range of technological, social, and circular economy solutions to manage waste. This initiative will target key decision makers such as city mayors, local government units (LGUs), and the Department of Energy and meet with Canadian companies, experts, social enterprises and private Philippine companies to discuss and deploy their plans for waste management. 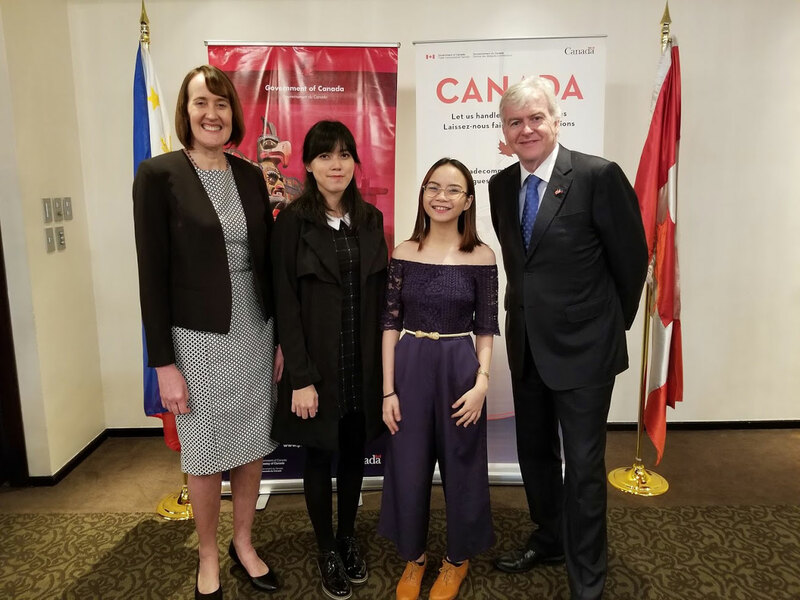 Sustaining the initiative of "What A Waste," Telus Philippines, an advocacy partner of the Canadian Embassy, also showcased Halimaw Sa Basura last March 29, 2019 to Grades 7-9 students of the Quezon City High School, as part of Telus' corporate social responsibility to inform and educate the youth on environment preservation. Halimaw sa Basura will be further screened and distributed to the Philippine Coast Guard, the local government units (LGUs), private corporations, and educational institutions for two years beginning this year. This aids in influencing various stakeholders as the consortium rolls out its top-to-bottom integrated plans within communities, public and private sectors, and local government arm--all involved in the development and execution of waste management in the Philippines. L-R: iACADEMY Game Changers in Animation and creators of "Halimaw sa Basura," Maria Isabella Parca and Alexandra dela Cruz. “We did not expect Halimaw sa Basura to hit it big. We’re really proud of our film for serving its purpose--to show everyone that the waste management problem is here and we can’t ignore it. I thank our mentors from the Animation Department, Ms. Weena Espardinez (our Chair), and Sir Peter Brown, for their continuous support in guiding us the moment we conceptualized this thesis project until this very moment as we stand in front of local and international delegates who joined this initiative. 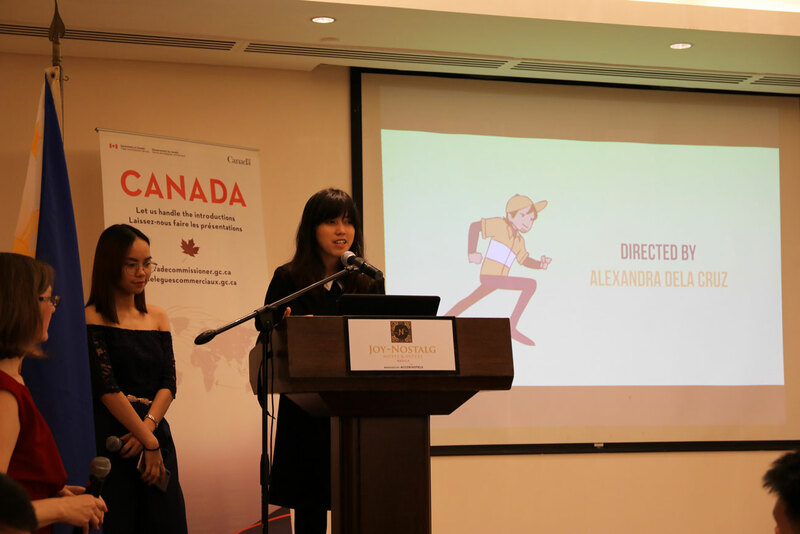 We didn’t expect that through art, we would be able to make an impact,” explains Alexandra dela Cruz, one of the directors and producers of the film and a BS Animation Graduate (Class of 2018). “Halimaw sa Basura” was a written, produced, and directed by Alexandra dela Cruz, Cheol Ung Kim, and Ma. Isabella Parca, iACADEMY BS Animation Class of 2018.